Personal sensors, apps and health diagnostics based on you - not someone like you. Easy to use, private, evidence-based, affordable. 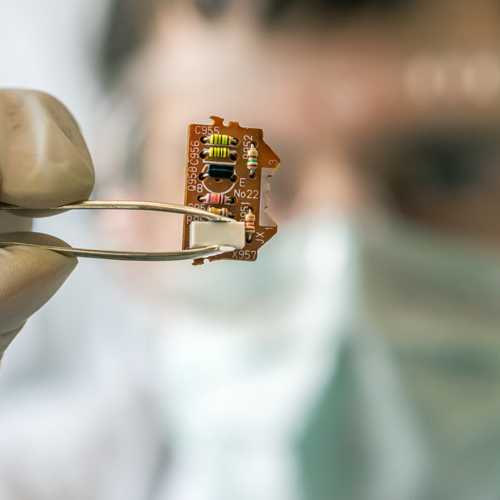 Zansors makes medical-grade sensors and apps. They are evidence-based and developed in conjunction with medical researchers, clinicians and biostatisticians to identify and treat real health problems. Many of today's health trackers are toys - they may provide interesting information, but often it's inaccurate and doesn't help you resolve your health issue. Zansors makes wearable sensors and mobile apps to help you capture personal health information. Now, you can tune into your personal bio-signals and privately collect and interpret daily data from your body. Zansors' tools are clinically-tested and evidence-based, so you can know yourself and improve your health easily, affordably, and privately. Your health data is private and deserves the highest protection. Because we respect your privacy, all Zansors products are developed in consultation with leading law firms, privacy advocates, FDA consultants, cyber security experts, and hospital IT experts. Our products are HIPAA compliant, private and secure with encryption. Zansors makes sensors and apps that work together to help you and your healthcare provider understand your body and get to better health. Sensors collect and interpret your bio-signals. Apps give you a window into this data, so you can visualize your health status over time and learn what behaviors make you better—and worse. The apps also capture qualitative health information – how you feel, what’s your mood – which are important indicators of your health. Some apps deliver clinically proven therapies to treat chronic health conditions. Zansors has believed from the start that the key to creating great products and devices is to prove that they work, not just make tall claims. Our research and development work is funded by the NIH after thorough evaluation and peer-review. The key to our research and development is to maintain a solid pipeline of effort from hardware design and app wire-framing to final evaluation of usability, functionality and reliability. Our research team works diligently in conjunction with our engineers to ensure that our devices meet the stated requirements. Zansors makes health sensors and apps, using medical grade components and evidence-based methods. Our products are designed to work toether, and can be used as stand alone products or connected by our secure, HIPAA-compliant cloud system (ExoBrain) to clinician dashboards for patient-to-provider service. Sleep Quality Sensor: Tracks breathing and can identify breathing disorders that might need medical attention, developed with medical experts at the University of Michigan Sleep center. Help4 Apps: Delivers Cognitive Behavioral Therapy to a mobile device. Developed in conjunction with leading therapists, this suite of apps takes CBT to a much broader audience. Private data is stored safely in Zansors' secure cloud-based network called ExoBrain. Zansors meets all criteria to protect patient privacy under HIPAA, so you can safely connect personal apps with clinical oversight and management. Personal apps interpret and visualize the data and allow users to capture important quality metrics as well. Apps use secure, HIPAA compliant pipelines to the cloud, to further process health data and convey it securely to clinicians. Healthcare professionals have access to patient data from sensors and apps, for just-in-time medicine.